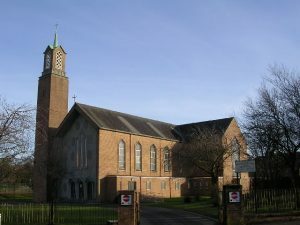 Mass will be celebrated on Sunday 25th June at 2pm in the grounds of the former St John’s Church, (now the Columba Club, Darnley Road, Barrhead), where St John’s stood for 100 years. Mass will be offered for all those buried in the grounds and in thanksgiving for the 175th anniversary of the founding of the parish. All welcome to attend. Teas & coffees will be provided after Mass, courtesy of the Knights of St Columba. I have written twice to St. John’s online contact hoping to learn if there is a printed parish history. I have explored the baptismal and marriage records from 1841 to 1869 and have very strong links to the church from 1849-about 1862. You have no idea how much of a treasure they have been after 40 years of searching and trying to knock down the walls to learn as much as I can about my Irish ancestors who braved the famine years and eventually found their way to Philadelphia where I was raised. The fact that they spent a decade or so in Scotland and Fr. John Sheedy kept such wonderful records, I have pushed open many doors. I will be in the area visiting to research in early Sept. Of course, I will find the site of the old church and will visit the new. I was hoping to arrange to have a Mass said while there for them. Also, how wonderful if I could have them remembered at the 175th anniversary. Wish I could be there! Can you suggest how to arrange any of these? I would want to make an offering, and I am sure some arrangement could be made to do this. Thank you for your message, which was lost in our Spam folder. Please contact the Parish Priest directly with your questions.